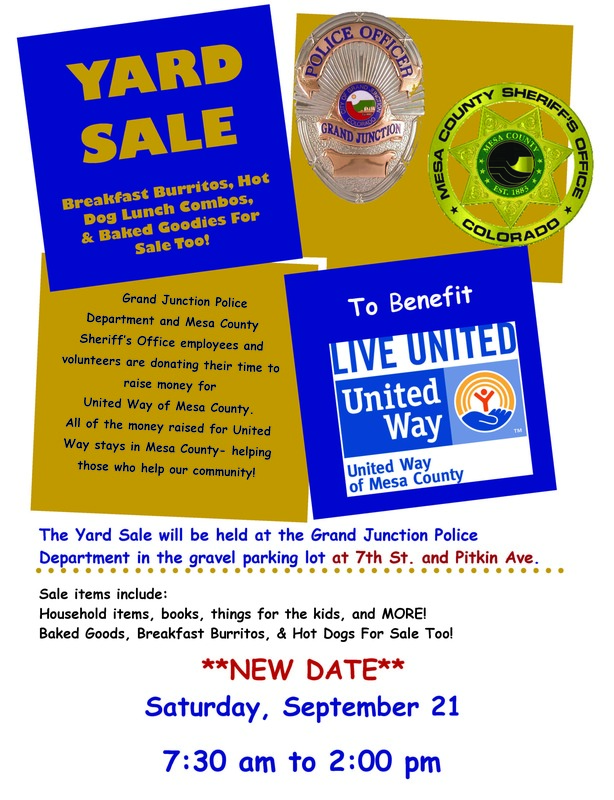 Because of the rain today, we are postponing our Yard Sale for United Way. It will now be held on Saturday, September 21 at the corner of 7th St. and Pitkin Ave. We will still have breakfast burritos and hot dog lunch combos for sale, as well as our baked goodies, so make sure you stop by. We’ll have lots of great deals for you to take advantage of. Download the updated flyer here.